For the second week in a row we’re spotlighting an organization that has been so supportive of the TMA Garden. 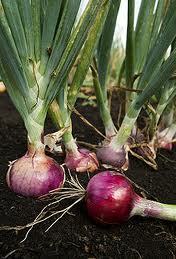 In January, Dixondale Farms, a family-owned operation, donated 2,000 onion starts to our garden. This is the second time they’ve made this contribution. With this donation, our students will have a chance to grow a variety of onions, such as Texas SuperSweet, Yellow Granex, White Bermuda, Lancelot Leeks and more. This is a great opportunity to expose our kids to different onion types and flavors, which may broaden their pallete, making them more open to trying new foods. Dixondale Farms, located in South Texas, has been in business since the early 1900s. In the mid 80s they began to see a growing need for distributing products to home gardeners. In 1990, the farm began shipping small quantities by UPS and the business has grown from there. Do you want to learn more about onions? The Dixondale Farms website is a great onion resource. It features a newsletter and loads of planting tips. You should check it out.